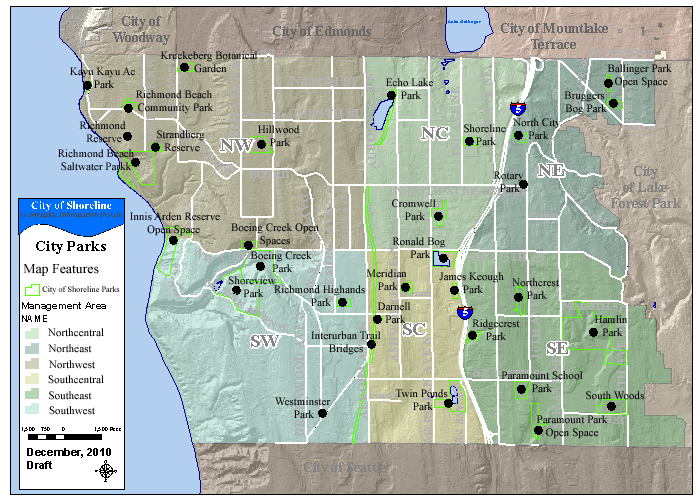 In October 2010, the City of Shoreline hosted two community open house events to share the Parks, Recreation and Open Space (PROS) Plan draft considerations for each park. Presentation boards of each park or recreation facility in Shoreline were prepared for these meetings. Click on the name of the park or facility to see the presentation boards.